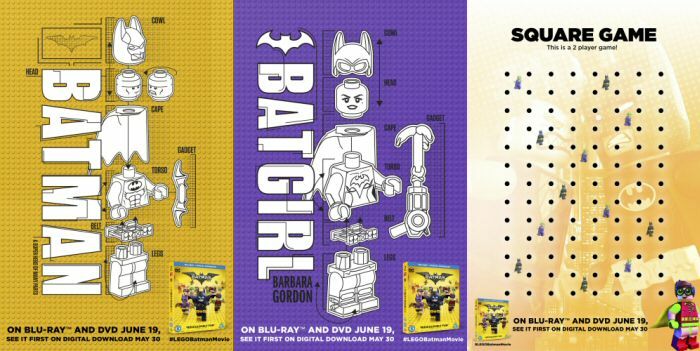 The LEGO Batman Movie has been one of the smash hit movies of 2017 and it is due for release on DVD and Blu-ray on June 19th 2017. 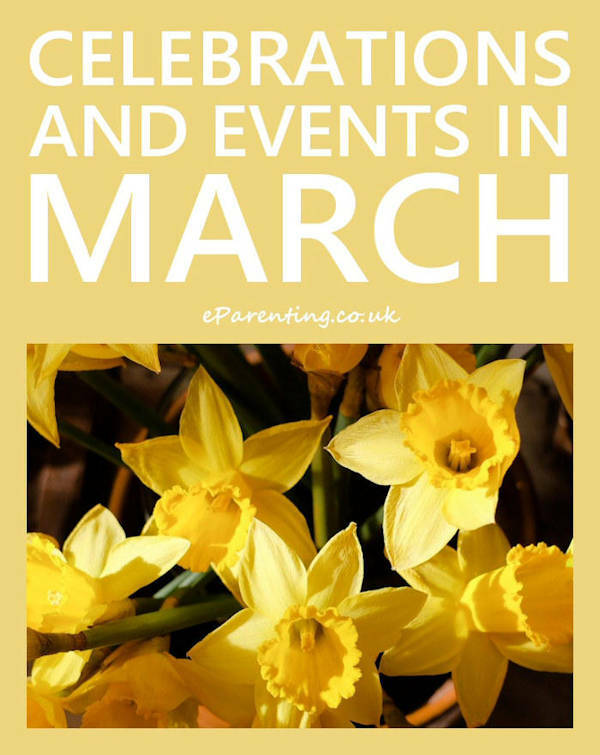 However, as a special half-term treat it will be available to download on May 30th 2017 from all your favourite digital download retailers. 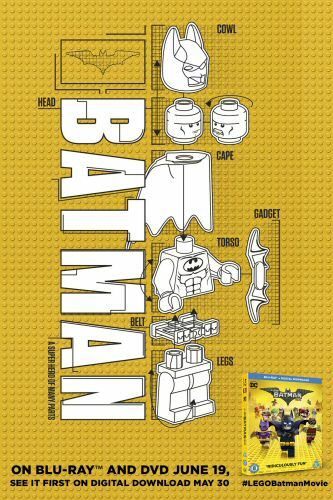 In the irreverent spirit of fun that made “The LEGO Movie” a worldwide phenomenon, the self-described leading man of that ensemble - LEGO Batman - stars in his own big-screen adventure - The LEGO Batman Movie. 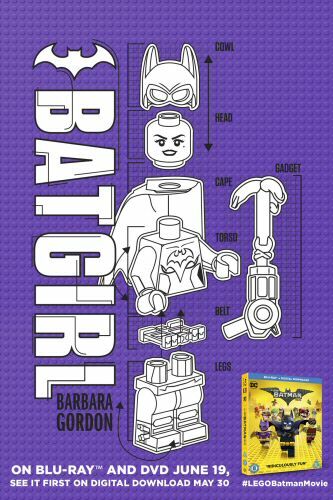 But there are big changes brewing in Gotham City, and if he wants to save the city from The Joker’s hostile takeover, Batman may have to drop the lone vigilante thing, try to work with others and maybe, just maybe, learn to lighten up. 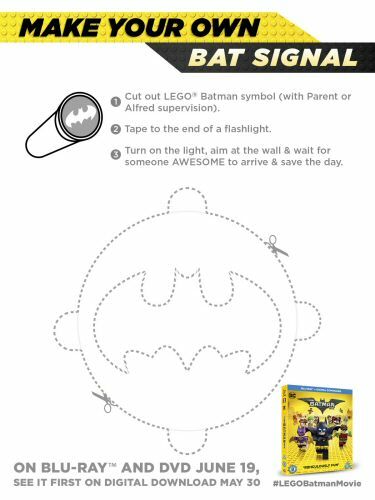 While you are waiting for the movie to start, here are some fun LEGO Batman printables - free printable colouring pages and activity sheets featuring Batman and Batgirl along with instructions for how to make your own Bat signal and a fun squares game for you to print off and play! 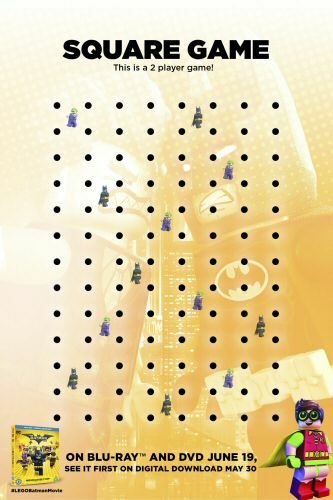 The object of the game is to make as many squares as you can - how many Batman or Jokers can you capture? Each player takes turns to make a line joining two dots, but you have to prevent the other player from making a square.